Folk Song, Mexico / Spain. 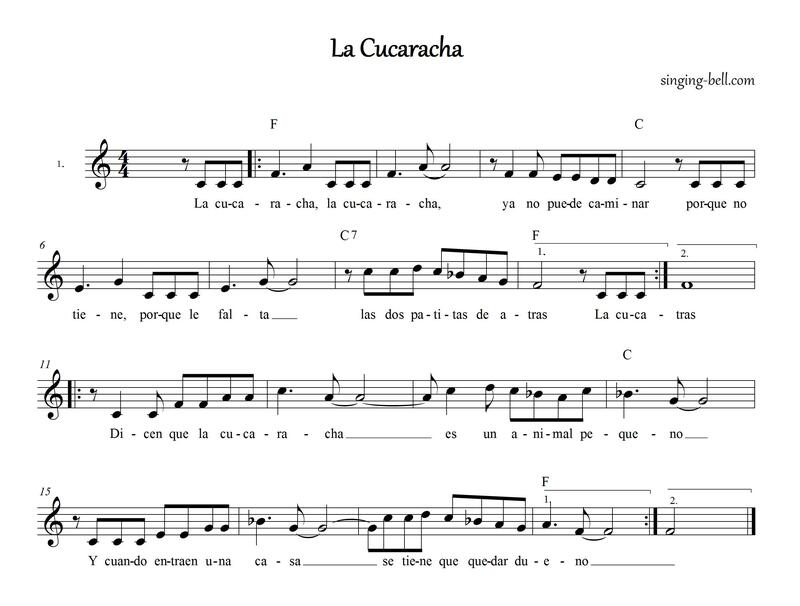 “La Cucaracha” is a Spanish folk song that became popular in Mexico between 1910-1920, during the Mexican Revolution. The origins of the song are unknown. 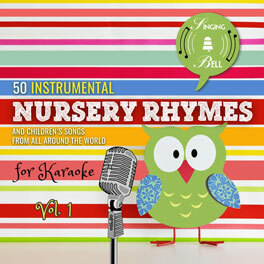 The lyrics are improvised according to the use of the song (children, historical or political meaning, etc. 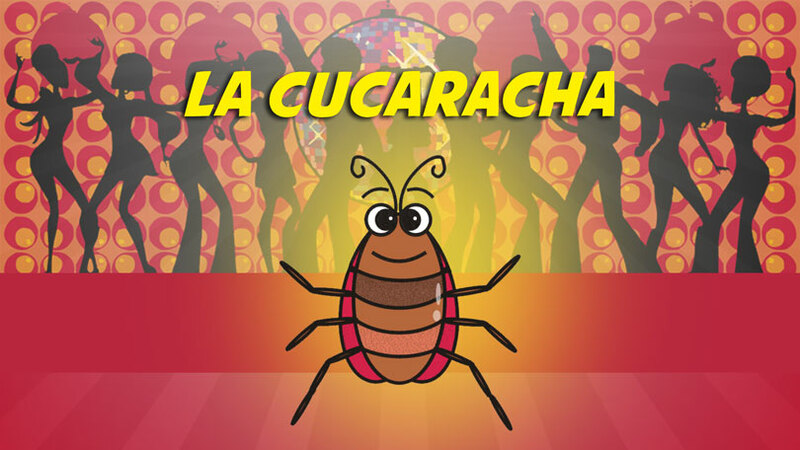 ), so we thought we might write our own English lyrics, which will make “La Cucaracha” ideal for a children’s party. Have fun! 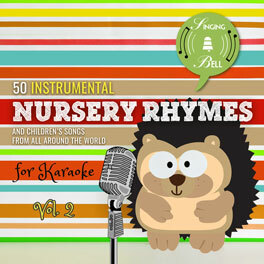 To buy your mp3 with the song (vocal version) of “La Cucaracha”, click here. ♥ For the English lyrics for kids to “La Cucaracha” (The Cockroach), written by Singing Bell, click here. 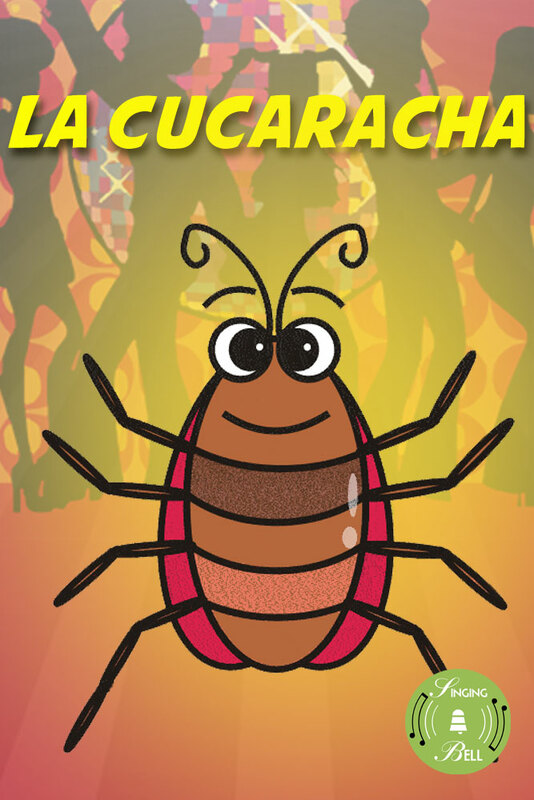 To save this free music sheet of “La Cucaracha” to your computer, right click (or tap and hold, on mobile devices) and choose “Save Image As…”. 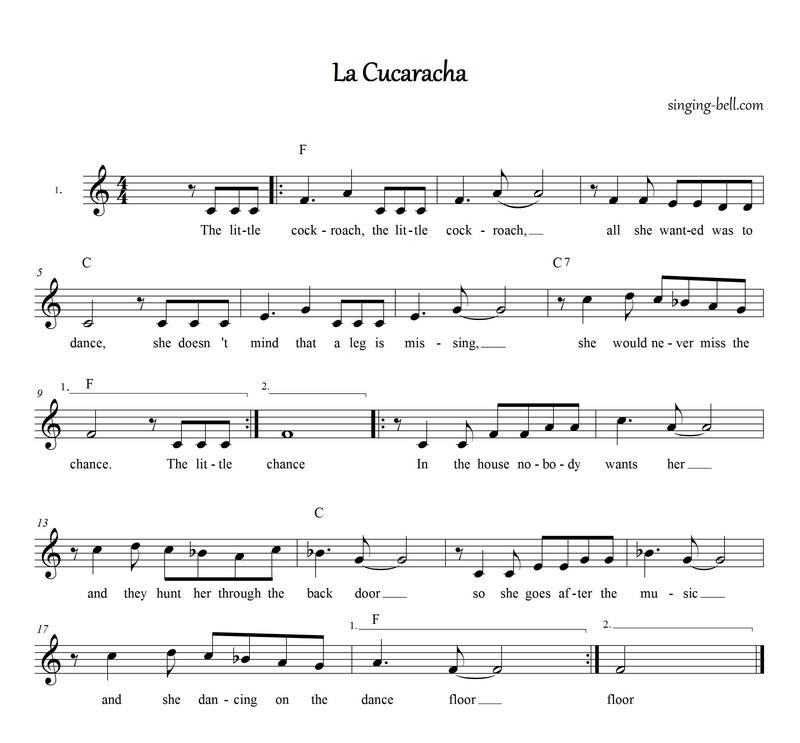 To download a ready-to-print PDF of “La Cucaracha” for music activities with a music sheet, lyrics and a drawing for kids to paint, right click (or tap and hold, on mobile devices) on the following link, then choose “Save link as…”. a cockroach dancing without the back legs, which means that you are leaning slightly to the front, dancing only on one leg. Don’t forget to choreograph the song according to its form (A-B-A-C-A). 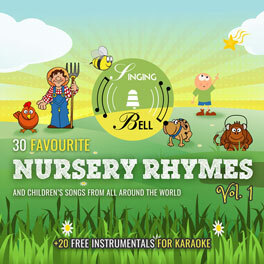 Divide children in two groups, one for the chorus (A) and one for the verses (B, C), and give them musical instruments (e.g. maracas and guiro) that they are going to play respectively.